One Lucky Year. 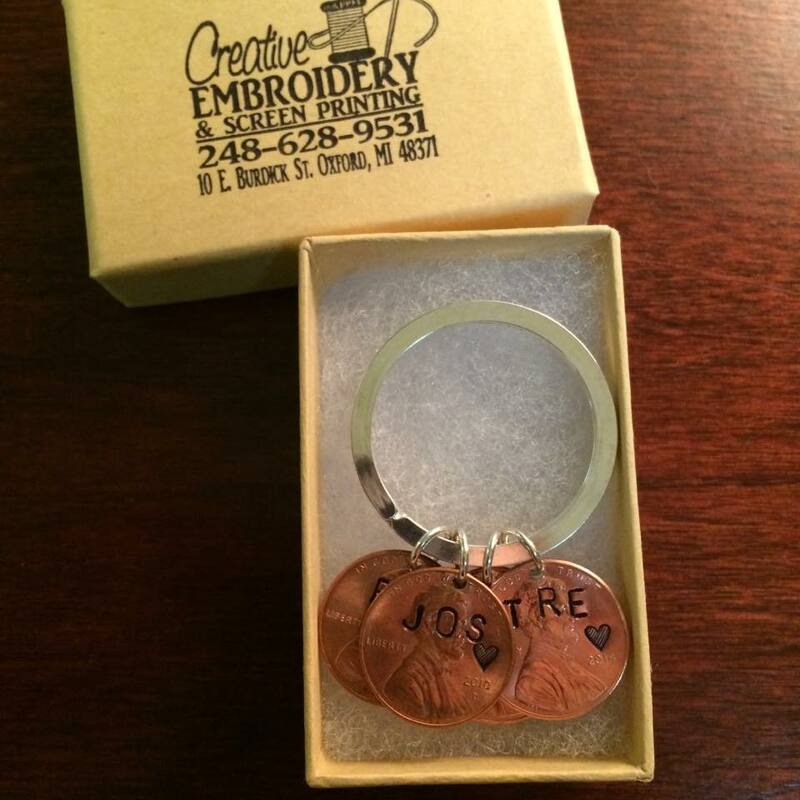 Hand stamped penny key chain for the year your little one was born! Just tell us the year your baby was born and their initials. 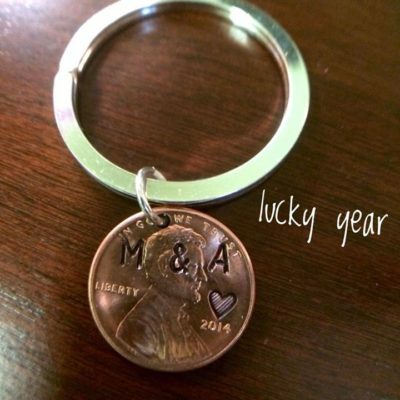 You can add multiple pennies to same key chain for each child. Type Initials and pick year of the first penny for key chain. Pick the year of the penny for 1st child. 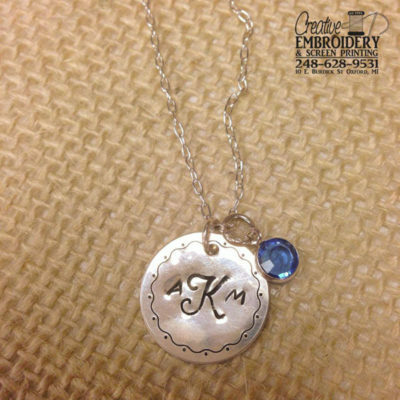 Type Initials and pick year of the second penny for key chain. Pick the year of the penny for 2nd child. 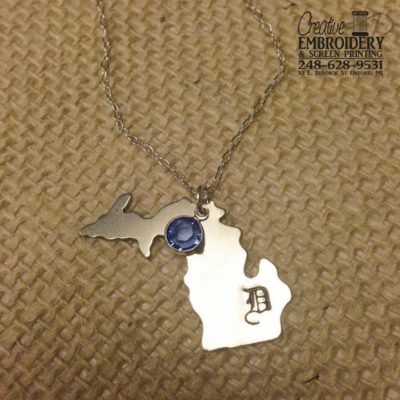 Type Initials and pick year of the third penny for key chain. Pick the year of the penny for 3rd child.